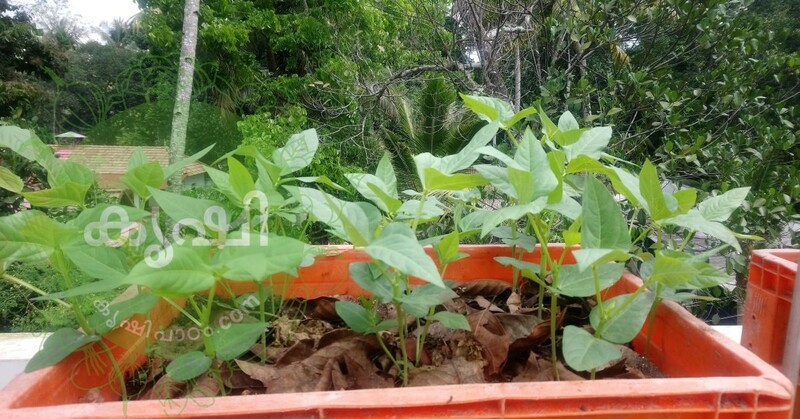 Today we are talking about making an easy, portable trellis for long beans (cowpea), bitter gourd, ash gourd, long gourd etc. This can detachable after the usage, making is simple as our portable vegetable stand. in other words it’s the modified version of our vegetable stand at terrace garden. please go through that video for getting a clear picture about making the concrete mixture and attaching legs. here we are using some gi pipes and a plastic net, attached 3 gi pipes to vegetable stand. for attaching the net at other side , adding 2 pipes. that also inserted into a used plastic/tin bucket. concrete mixture added, after 2-3 days we use to for making the stay. both sides i have added cross pipes, 3 pipes also attaches across the bars. now we can easily place our plastic net over this compartment. this is basic idea, you can modify it as per your vegetable garden structure. drop your comments, post your suggestions.